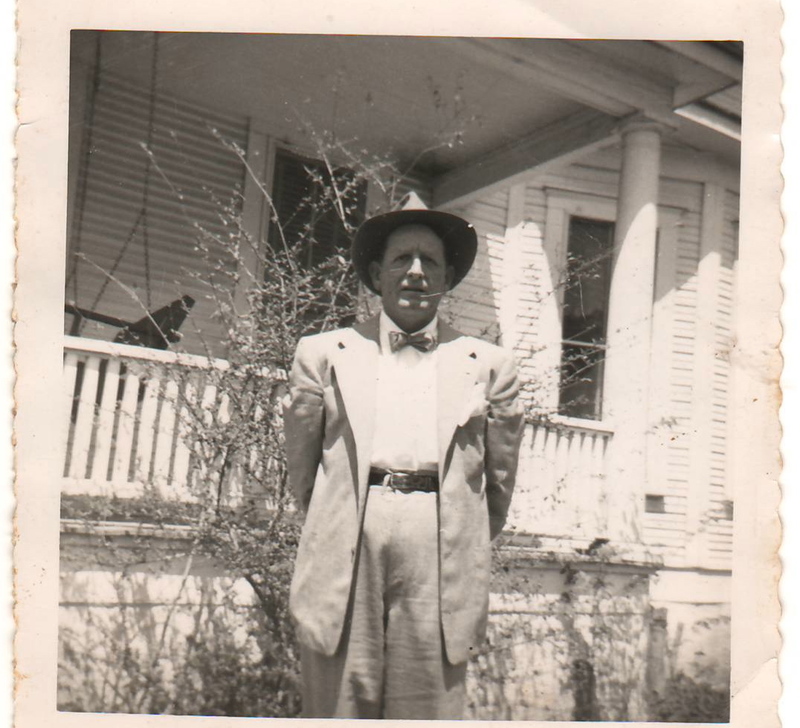 Charles Dean “Deanie” McKay Sr. at the house on Elm Street, Navasota, Tx, where I was raised the first 10 years of my life, before the move to Kettler St.
— How he liked to rake leaves on a crisp, autumn day and stand there with the rake and enjoy the zen of a burning pile of leaves. — How on hot, Saturday afternoons when I was outside playing with friends while my mother was working in the linens department at Penny’s downtown, we kids would go inside for popsicles or Hostess Cupcakes and he’d be sitting at the kitchen table with hot cornbread crumbled into a glass of milk (a cornbread milkshake) and reading The Houston Post with a fan blowing on him. — How cool it was to ride at his side in the chuck wagon when, for many years, he was the “French Fry and Chili Chef” on the Salt Grass Trail Rides into Houston for the parade for the Houston Fat Stock Show and Rodeo on those cold, February trail rides. — How he had “the gift of gab” and never met a stranger. — How he’d take me down to the arena rails at the end of the Rodeo Shows that starred Roy Rogers and Dale Evans every year in Houston so we could shake hands with Roy and Dale and their kids when they kept circling around the arena in a jeep at the end of their shows. — How open he was to changing his life sometimes in radical ways without ever looking back. — How he abruptly (and at great risk) quit a long, good-paying career as a blue-collar man in the oil patches as a roughneck, and then as a pipeline inspector, traveling all over the Southwest U.S. and Mexico for Humble Oil Co. (forerunner of Exxon) so he could finally settle in with his family and get to watch his last son (yours truly) grow up. 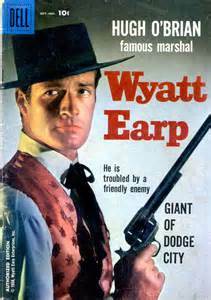 — How much he liked to buy, sell or trade anything–especially cars and especially Ford Mustangs he restored. — How he could break down the engine in a car, hang it up in a garage and totally overhaul it. — How he built a very Southern Living patio with an awning in the back yard when we moved from the house on Elm to the house on Kettler so he and Goldie could host parties out there for friends and neighbors on Saturday nights, pre-grandchildren days. — How much he loved Methodist preaching and his beloved First Methodist Church, where he ushered for a hunnerd years after coming home from the oil patches. Very cool story. Kristen had the opportunity to “touch ole Nellie Belle” (the jeep) on a government trip when their museum was open – she says somewhere between Barstow and Ontario, lol. She was a little grossed looking at Roy’s horse and the dog (sorry names are slipping me) oh wasn’t Dale’s called Buttermilk? It closed a while back. I did manage to stay clear of gambling! Woops, the animals were stuffed. Oh, Trigger in a museum, huh. That and the dog would be a little creepy. I fought the smoking battle a lot of years myself, with a lot of stops and starts; I could go through 3 packs in the intensity of the newspaper days. And started in journalism when reporters still had whiskey bottles under their desks. It was way, way different times when it came to smoking and drinking too, for that matter.